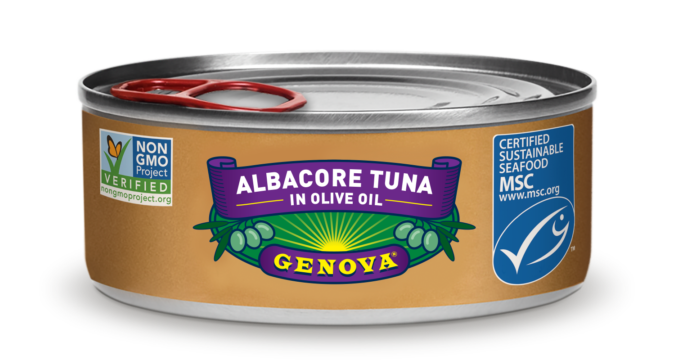 Elegant and delicious, our Albacore Tuna in Olive Oil features a subtle, clean ocean flavor, with a satisfying firm texture. It’s a rich source of essential omega-3 fatty acids and nutrients, with less fat than meat and poultry. We are committed to sustainable fishing, and we source all of our tuna from MSC-certified fisheries. It’s important to know where your food comes from—that’s why each can of tuna has a unique code that enables you to track the origins of our wild-caught tuna.